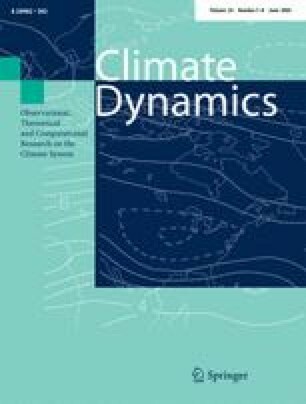 The mechanism of the Tibetan Plateau (TP) thermal forcing in influencing the summer climate patterns over subtropical Asia is investigated by means of NCEP/NCAR reanalysis diagnosis. Results show that since the TP is a huge elevated heating source with the strongest heating in the surface layers in summer, the thermal adaptation results in a shallow cyclonic circulation near the surface and a deep anticyclonic circulation above it. According to the steady barotropic vorticity equation for large scales, airflow must converge in the lower layers and diverge in the higher layers over the eastern side of the TP. However, the western side of the TP is characterized by a reversed structure, i.e., divergence in lower layers but convergence in higher layers. Hence, pumping and sucking processes bring in upward and downward movement over the east and west sides of the TP, respectively. Such a circulation is embedded in the large-scale circulation that is forced by the Eurasian continental heating. Because the TP together with Iran Plateau are located at the central and eastern parts of the continent, and, because the orography-induced circulation is in phase with the continental scale circulation, the role of the TP thermal forcing is to intensify the East Asian monsoon to its east and the dry and hot desert climate in mid-Asia to its west. The summertime thermal forcing of the Rockies and Andes can generate similar circulations along the two subtopics as the TP does since they are located near the western coasts. But, the lower troposphere poleward flow that is induced by orographic thermal forcing does not coincide with the poleward flows over the eastern coastal region that is induced by continental heating and the monsoon rainfall in North and South America is not as strong as in East Asia. However, the equatorward flow and the associated subsidence induced by the two mountain ranges along the western coasts of both North and South America are in phase with those induced by continental heating. These contribute to the formation of the stable low stratus clouds and strong long-wave radiative cooling over the eastern subtropical Pacific regions just off the western coast of the continent. We would like to thank the anonymous reviewers whose critical reviews and valuable suggestions are important for the improvement of the manuscript. The authors also thank Dr. G.P. Li for providing the AMS heat flux data. This work is jointly supported by the Chinese Academy of Sciences (Grant No. ZKCX2-SW-210), and by the National Natural Science Foundation of China (Grant No. 40405016, 40475027, 40135020, and 40221503).